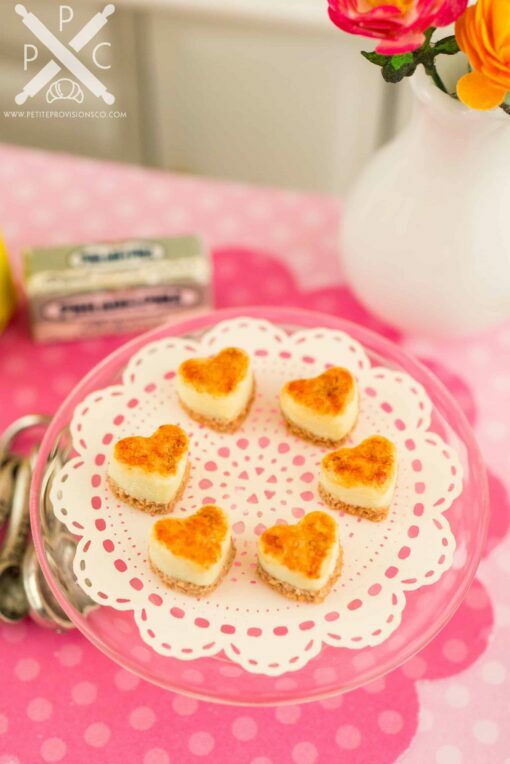 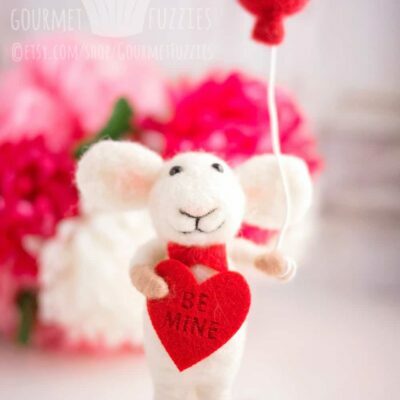 Dollhouse Miniature Crème Brûlée Cheesecake Bites - Half Dozen - 1:12 Dollhouse Miniature - The Petite Provisions Co.
What’s cuter than a heart-shaped mini cheesecake for Valentine’s Day? 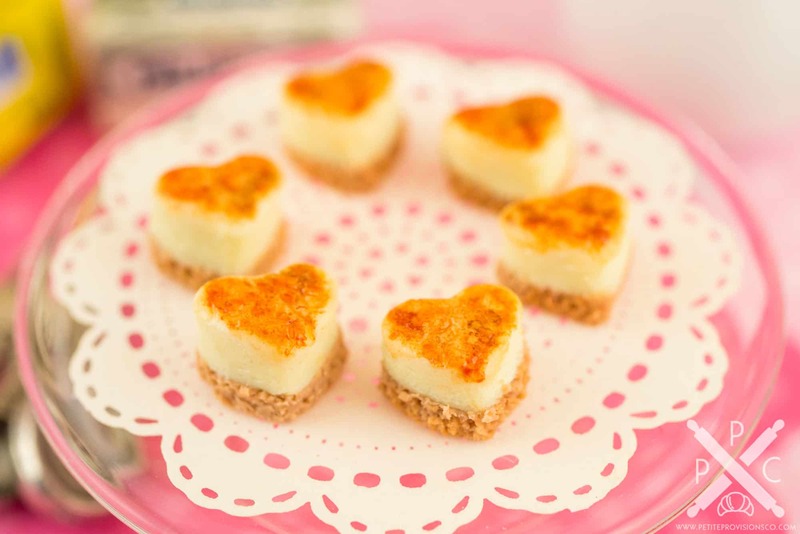 These are individual mini vanilla cheesecakes with a crème brûlée topping. 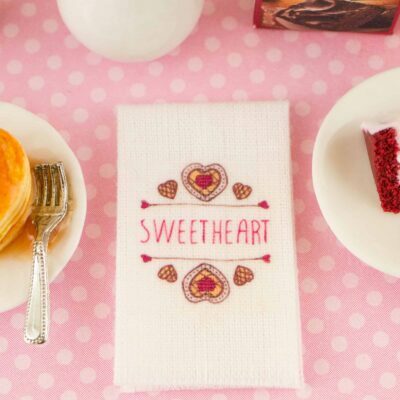 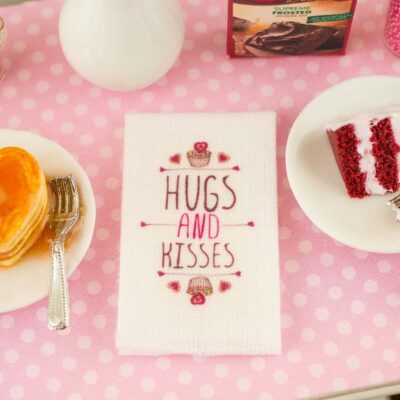 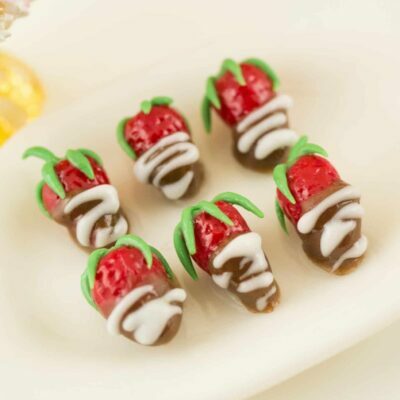 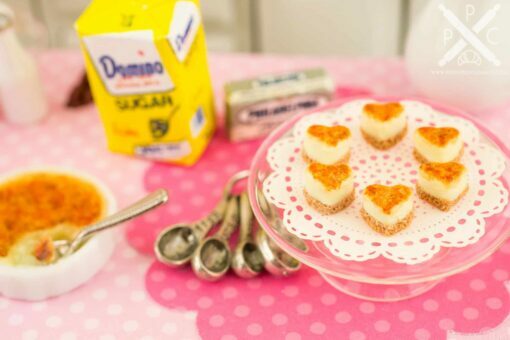 Whether you have a dollhouse or just love all things tiny, these wee dessert bites are too cute to resist! 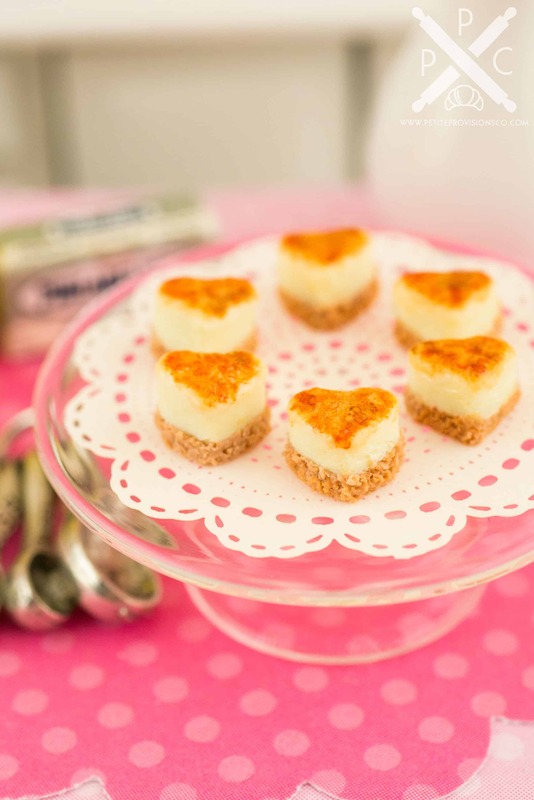 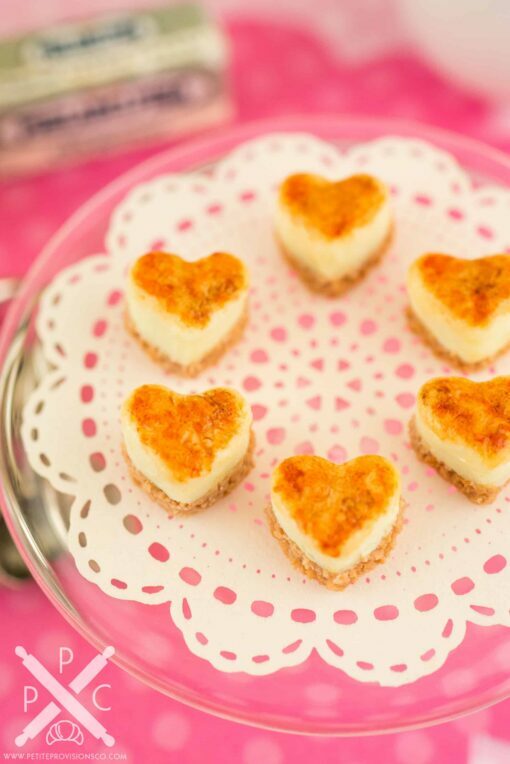 A half dozen heart-shaped vanilla cheesecakes with a graham cracker crust and a crème brûlée topping. 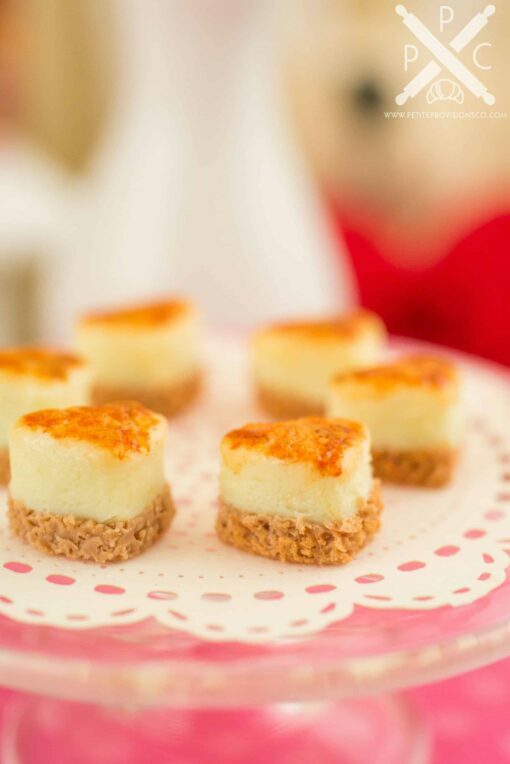 Each cheesecake bite measures about 1/4″ in diameter.